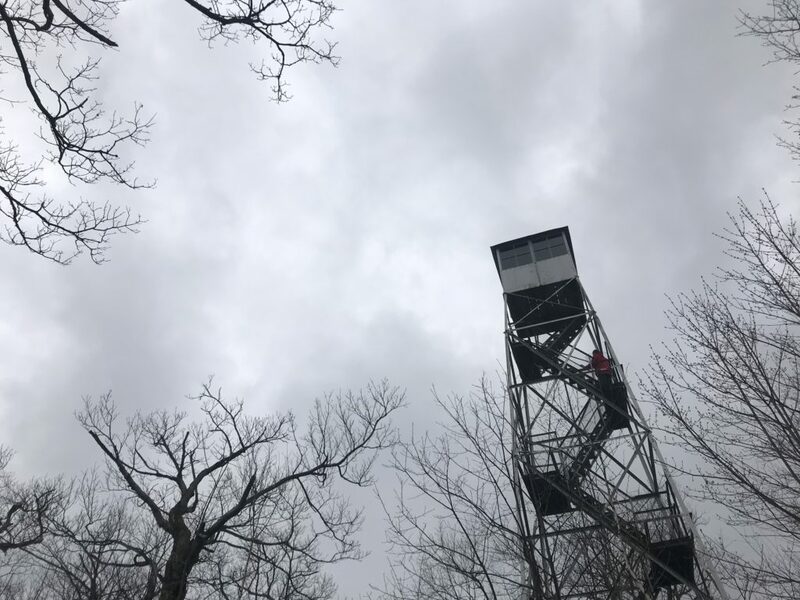 The hike to Mount Tremper Fire Tower on the Phoenicia Trail is surprisingly gorgeous in late April despite a severely moody atmosphere at the summit with thick rain clouds threatening to burst any minute. At this time of year, it’s more lush and green than other trails with multiple tributaries splashing across your path, and onwards down the mountain through vivid green moss towards the Esopus River. 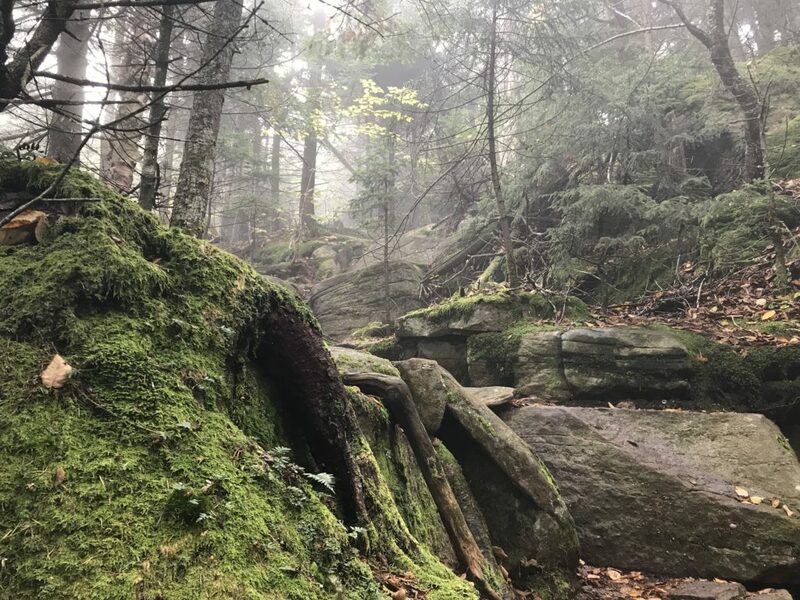 The trail head is on Route 40, outside Phoenicia and starts over two small wooden bridges that span waterfalls, and a steep climb up stone steps for a half mile that’s utterly beautiful but treacherous with tree roots and deep mud when wet. 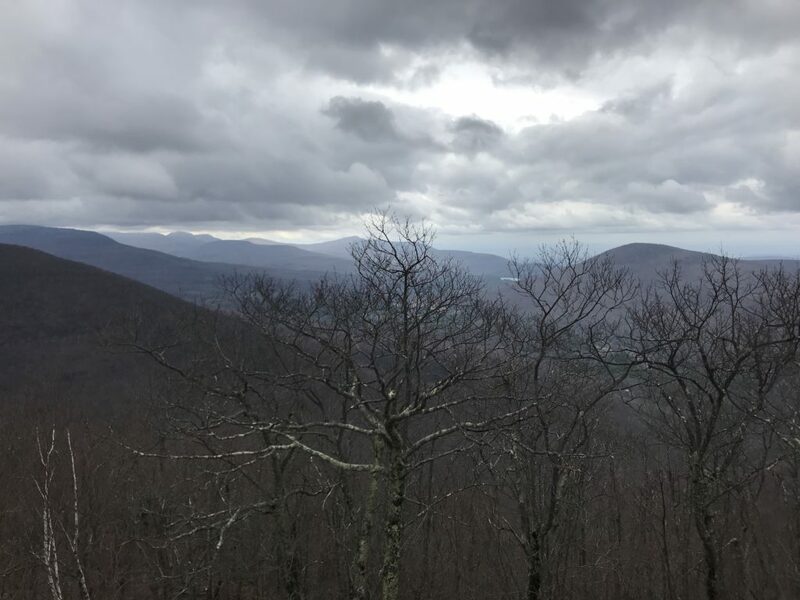 This entry was posted in Hiking The Catskills on April 22, 2019 by JNUrbanski. Tonight was a gorgeous spring evening in the Catskill Mountains: clear sky, full moon, 60F with frequent, strong gusts of a humid breeze washing over our ridge like a warm tide coming thick and fast as if a storm was on its tail. Alfie nodded his nose up delicately into each wave and followed it through to find out who was where and what they were doing. Coyotes yipped faintly in the distance and I whispered: “do you hear that”? “Yes!” he barked. “I wasn’t going to say anything, but now you’ve heard it!” He barked. 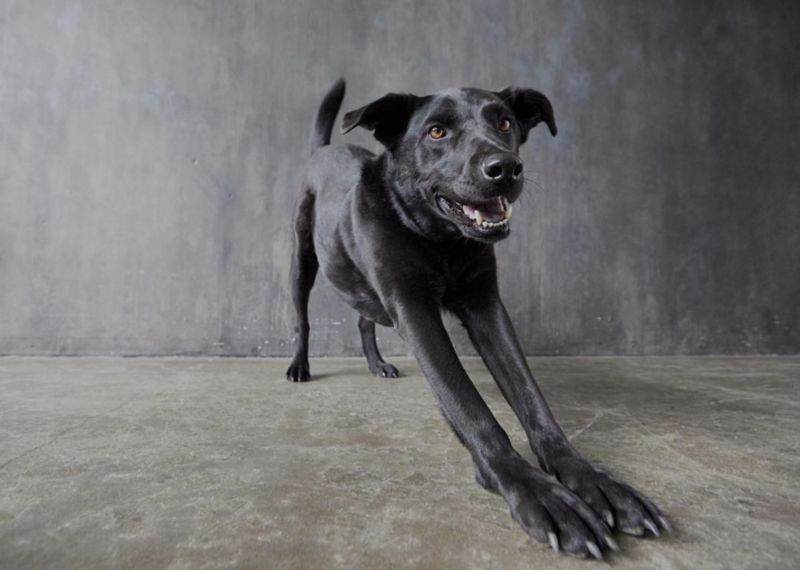 Then he barked some more of his deep, throaty commands, holding his body rigid against the wind as if it might blow the coyotes straight up to our feet. As the yipping and howling died down, we marched across the brush, dried and flattened by another strident winter, listening to the bare trees creak and squeak – like (very tall) old ladies getting their hair messed up and complaining about it. Alfie was slightly hesitant and wanted to turn in – coyotes! What’s next? – but we stuck together, fur and hair ruffled by the strong, balmy air that pushed grassy, spring smells in our faces and I led the way under a dome of midnight stars. Bare trees allowed us a panoramic view of the mountains in the bright moonlight. Alfie’s attuned to my every mood by now, at my side like my Pullman daemon, able to explain everything with one look, sensitive to every gasp or concerned expression after five years together, but it wasn’t always like this, especially when he was a puppy and insisting on leaving the house at 4am. This entry was posted in First Person Dispatch on April 20, 2019 by JNUrbanski. 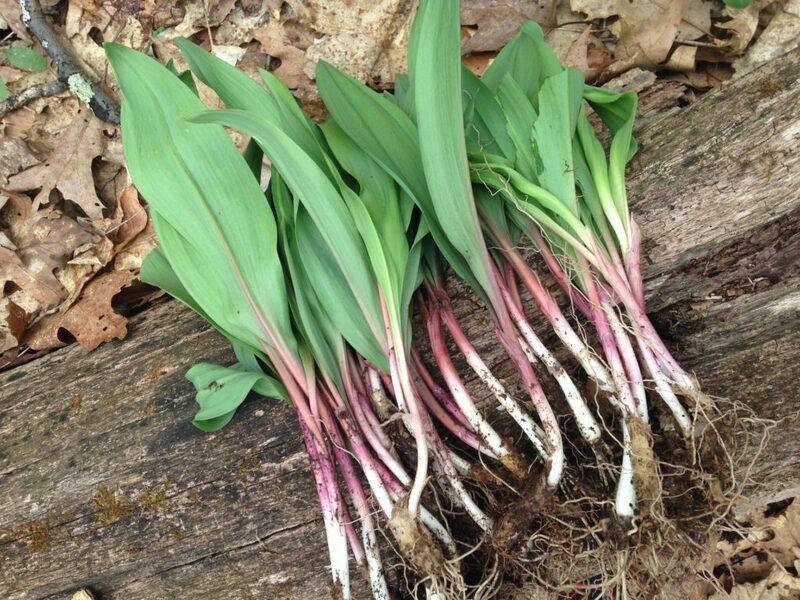 Here in the glorious Catskill Mountains, locals used to pick ginseng, wild leeks (ramps), chanterelles, and other rare delights in a sustainable fashion, but now we have visiting hikers ripping out all the ramps, bulb and all, to take home, or marketeers hauling out ramps by the truckload in garbage bags to sell downstate at markets. So now we must conserve – or transplant. Foraging is a great way to supplement your diet and reduce your carbon footprint. Sustainable foraging is essential, or our rare delights may disappear. 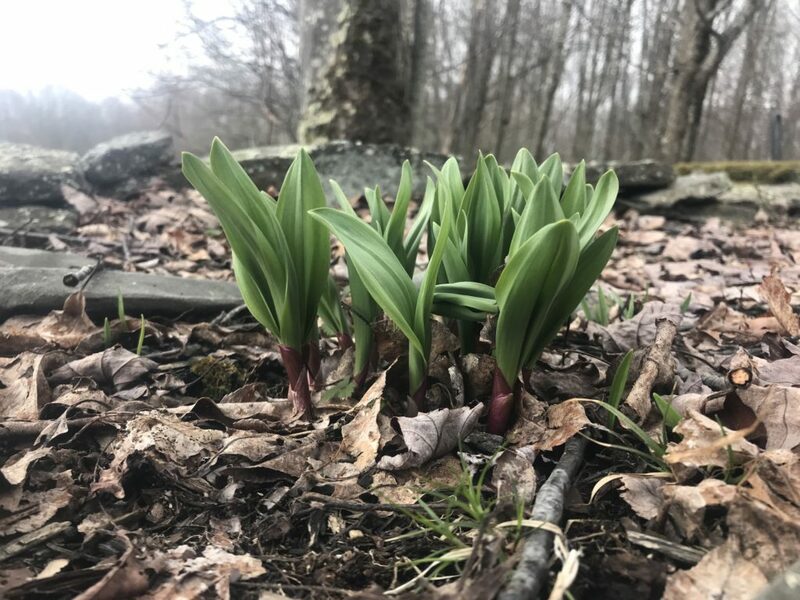 Here at Upstate Dispatch, we transplanted three wild ramps years ago that add a bunch to their number every year and they seem to love it where they are (pictured above). The secret is to plant them somewhere wet and shaded with plenty of tree cover, a place that sometimes gets boggy in rainy periods or where you find lots of mossy carpeting instead of grass. Until recently, seasonal eating was once a relic of our agrarian past, like that quaint anachronism Sunday best. Sunday best is definitely as dead as the dodo in this consumer age and ramps will be gone too if we don’t harvest sustainably. Because of there rarity, they’re very popular and seasonal eating is making a big comeback in certain areas. If you’re foraging on public land, only take some of what you find and only take the leaves by cutting above the bulb. Don’t remove the entire ramp. Please do not pull ramps like this, pictured below, unless you’re picking on your own property. 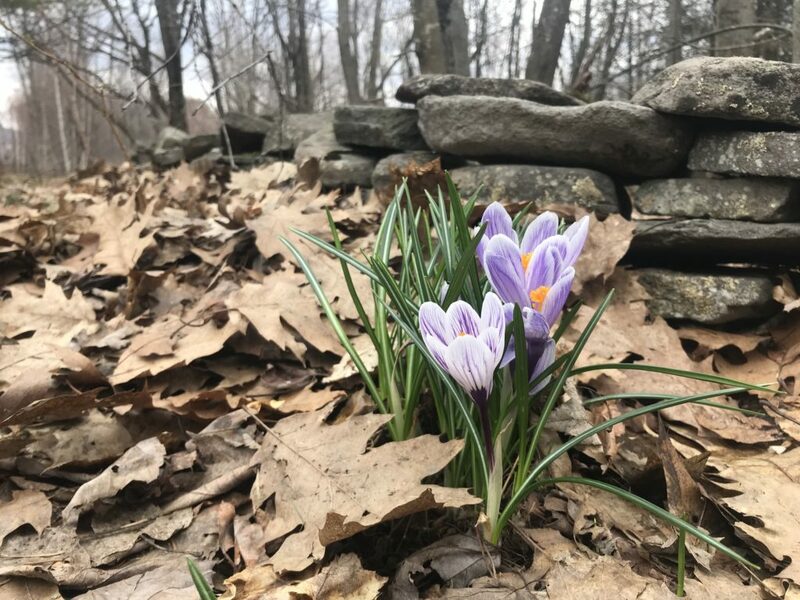 This entry was posted in Foraging on April 19, 2019 by JNUrbanski. 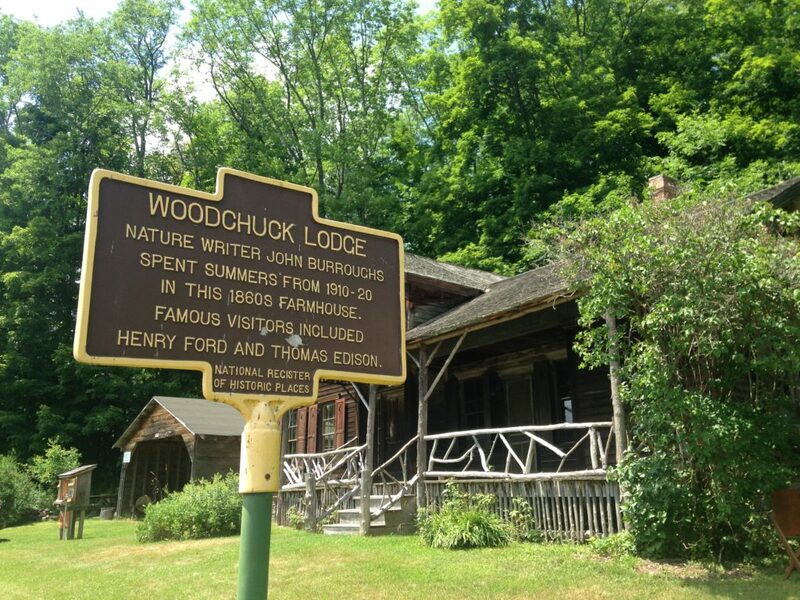 A second Earth Day event at John Burroughs’ Woodchuck Lodge: Monday April 22nd, 2019 at 1pm. Former DEC ranger, Patti Rudge, of Oliveria, will show participants how to attract nesting bluebirds in specially constructed bluebird boxes. 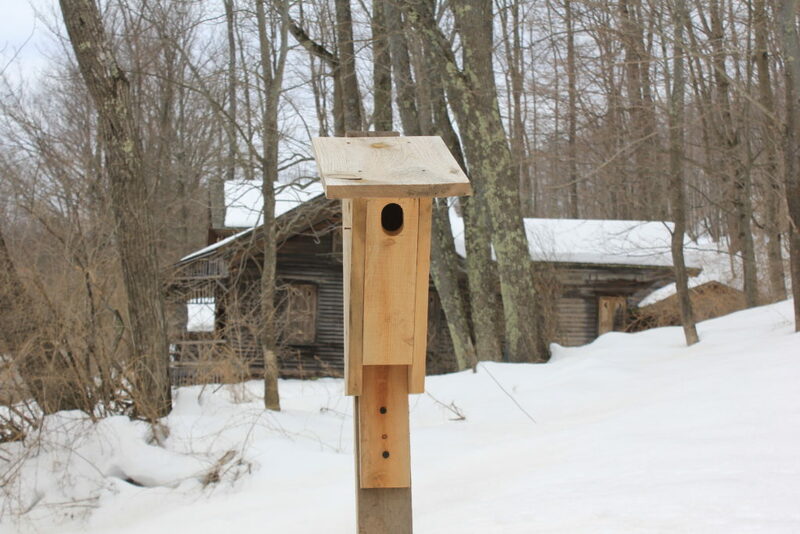 Participants will have the opportunity to purchase a nesting box to attract a nesting pair to their own property. 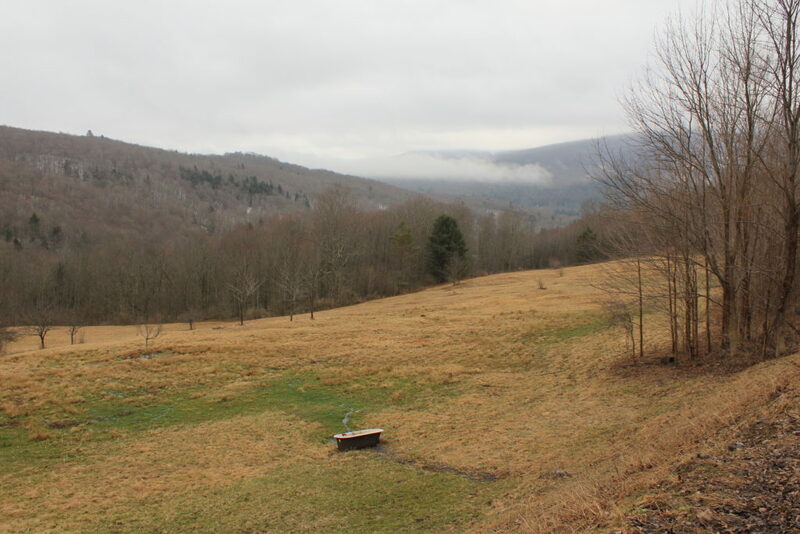 Celebrate Earth Day with the great naturalist and Catskill Mountain native, John Burroughs (1837-1921), John O’Birds, as he was known during his lifetime. This entry was posted in Conservation on April 18, 2019 by JNUrbanski.